Super sparkley cubic ziconia studs in platinum over sterling silver. A basic for every girl's wardrobe. Allow 2 - 4 weeks for items not in stock. As with all Crislu, lifetime guarantee on workmanship. Platinum will not tarnish. Avoid harsh chemicals. 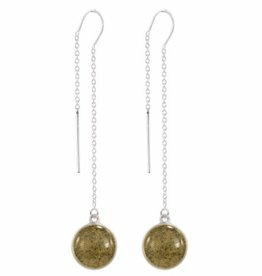 The Sandglobe Long Earrings combines Dune's classic Sandglobe design with modern, long earring threads. Cast in Sterling Silver and are custom made with Turquoise and sand from St Augustine. Super sparkly cubic-zirconia studs in platinum over sterling silver. A basic for every girl's wardrobe. Super sparkley cubic ziconia studs finished in pure platinum over sterling silver. Super sparkley cubic ziconia studs in platinum over sterling silver. A basic for every girl's wardrobe. Beautifully gift boxed. For life's dazzling moments, Crislu presents pave-studded hoop earrings you'll reach for time and again. These four prong square stud earrings with 1.5 cttw fine cut cubic zirconia set in sterling silver finished in pure platinum. Beautifully gift boxed and includes a lifetime guarantee! 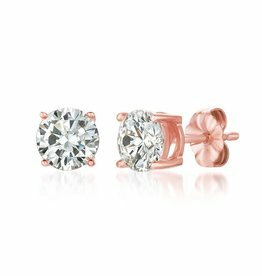 These CRISLU Classic Princess Studs are a staple in any woman's jewelry box! These dazzling earrings will help complete your set and bring out the twinkle in your eyes! Simply stunning for everyday sophistication. 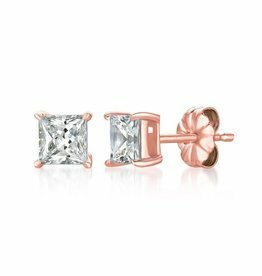 Fine cubic zirconia studs are mixed with sterling silver with a platinum finish. Classic princess cut stud earrings. 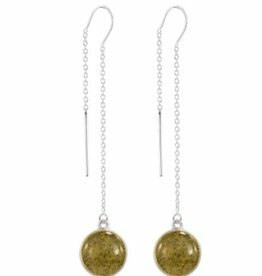 Small open ended hoops accented with micro pavé stones and stud earring enclosure. These Gold Fan Tassel Earrings are the perfect item to transition from day to night. 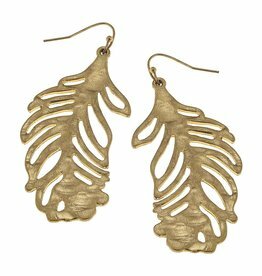 They are great statement earrings that will steal the show at any party, but cool enough to wear every single day with jeans and a t-shirt. 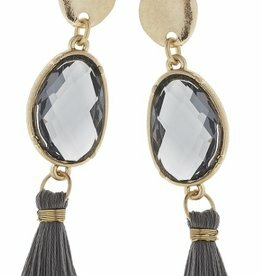 Linked Black Diamond Glass Tassel Earrings, Post; Grey; Length: 3"
The larger version of the Floating Lotus Earrings mirrors the same soft and elegant design as its smaller counterpart. A floating gemstone, suspended within a fine gold leaf-shaped frame creates an impactful yet light illusion.